Do You Plant Iris Plants in Sunlight or Shade? From miniature dwarfs to full-size, 4-foot tall plants, there is an iris for every need in the garden. The iris includes more than 300 species and many unique cultivars. 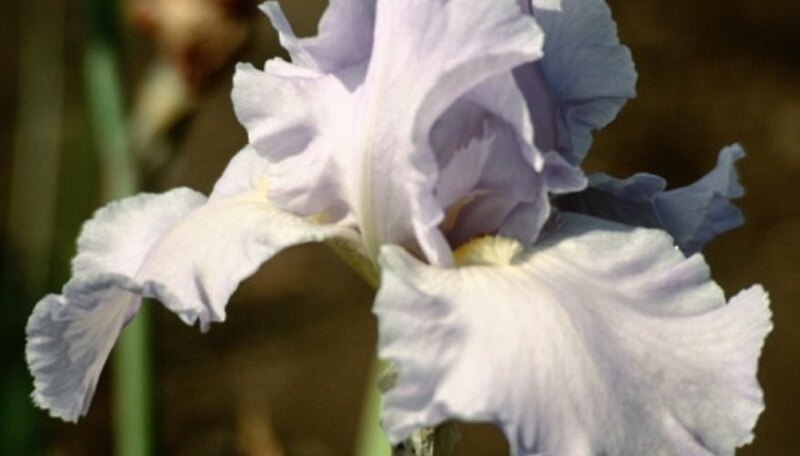 Common species include Japanese bearded iris, Siberian iris, Louisiana irises, Pacific Coast irises as well as Dutch and English irises. Irises grow in U.S. Department of Agriculture Plant Hardiness Zones 3 through 10, depending on the species with some varieties less tolerant of cold or heat. Irises grow well in cold, Northern climates. The rhizomes tolerate long periods of freezing during winter dormancy. In Northern gardens, plant irises in an area with full, bright sun throughout the day. Plant the irises between July and September. The roots establish in the soil during fall, and then go dormant during winter. In the spring, the rhizomes produce foliage and flowers. Irises tolerate partial shade in Northern climates, but may produce fewer blooms. Plant the irises in full sun in USDA zones 3 through 8. Siberian irises are hardy in the colder areas of the planting regions. Irises enjoy partial shade in hot climates. In USDA zones 9 and 10, plant irises where they get full morning sun and light afternoon shade. Irises tolerate dappled shade throughout the day in hot weather. When planted in full shade, irises produce abundant foliage but limited flowers. Louisiana irises and Spanish irises grow well in warm climates. Plant the irises between September and October in climates that have mild, often damp winters and hot summers. Coastal areas, even in hot climates, are cooler with less temperature fluctuations between the seasons than inland sites. Plant the irises in full sun in coastal climates. Try Pacific Coast irises. These Pacific Coast natives grow well in the mild winters and cool damp summers of the Pacific Northwest and Northern California's coastal regions. Louisiana irises also grow well in coastal climates. September and October planting is ideal, but irises can be planted and transplanted at any time during fall, winter and early spring. Irises grow in loamy garden soil; wet, boggy areas; and in shallow, standing water. Japanese iris varieties favor standing water and wet areas. They are well suited for ponds and landscape water features in full sun or partial shade. Siberian Irises grow best in loamy garden soil with good drainage. This variety does not grow well in continuously waterlogged environments. Louisiana irises grow in garden soil and in wet areas, depending on the variety.